The sprouts have a small head that looks similar to small cabbages; these are produced in the leaf axil that starts at the base of the stem, and work upwards. The plant can be grown fairly successful in almost every area of zones 4 to 8 (as a winter vegetable in zone 8). When grown in lightly frosty or cool weather, the taste and quality of the plant improves. For areas with deep snow cover Brussels sprouts may over-winter. Although plants requires a long growing period there are many hybrids available that can be grown over a shorter period of time. Brussels sprouts photograph by woodleywonderworks. Brussels sprouts, as part of the Brassica group, are best planted in soil along with other Brassica such as Broccoli, Cabbage, Kale, Turnips, Cauliflowers and the like, and ideally legume species would have been grown in the soil within at least the past two years. To avoid disease it is best to rotate the area where Brassica species are grown each year; with at least a three year rotation. Prepare the soil by digging some organic compost into the soil two to three weeks before sowing in order to maintain soil moisture retention properties. Brussels Sprouts are a cool weather crop that is best grown at around 60 to 65°F (15-18°C). They can grow well in temperatures up to about 75°F (24°C), but when planted in too warm an environment sprouts may open up and lose their firmness. Choose a location that has a well-drained and moisture retaining soil as this encourages proper growth of the plant. Growing Brussels by John Morgan. Brussels sprouts needs to be planted at the correct time of the year in order for them to grow to maturity in the colder months, as this leads to the best taste and texture. They should be transplanted in early to mid-summer (depending upon expected first frost date); this is about the same time when long season cabbages are planted. Sprouts need to be sown in seed flats, in a protected location, four to five weeks prior to transplanting. Place the seedlings to their permanent garden location at least 90 to 120 days before the first frost date is expected to occur. Alternatively, seeds can be directly sowed into their final location about five months in advance of the first expected frost. Avoid growing mature plants during hot summers as plants grown under dry conditions and in hot weather are likely to develop bitterness. In most cases, winter and spring production is the more rewarding, and the most practical time to plant. If you live in an area with a short growing season it may be necessary to first grow seedlings indoors, and then transplant outdoors at the start of spring for a summer harvest using a heat-resistant variety. Sow Brussels sprouts seeds in seed pots starting in mid-spring to late summer. Germination occurs above 50°F (10°C) and normally takes around three to ten days. The seedlings should be planted out when they are approximately five to six weeks old, at a height of around six inches (15 cm). Transplant the seedlings approximately 15 inches (40 cm) apart; rows should be spaced 30 to 35 inches (75 to 85 cm) apart. Use organic fertilizer and water at the time of planting. Brussels Sprouts Seedlings by Jennifer C.
Growing Brussels sprouts require attention such as watering, weeding, and the application of fertilizers. Leaf removal and mulching are optional, but are best conducted to improve the crops. Due to the fact that the plant has shallow root system, they need to be watered at least weekly, especially when rainfall is insufficient; ample moisture is required in order to prevent crops from failing. Keep the soil moisture levels as constant as possible as fluctuation of moisture during heading may lead to sprouts spliting open, and becoming bitter. Nitrogen is needed for sprouts to retain vigorous growth. However, the amount and frequency of fertilizer is dependent on the kind of sprouts that are to be planted. Most plants require one side dress application at some point, this may be needed at one or more of the following times: when the plants reach 12 inches (30 cm) in height; when the plants are half way through their growth season; or about three to four weeks after planting. 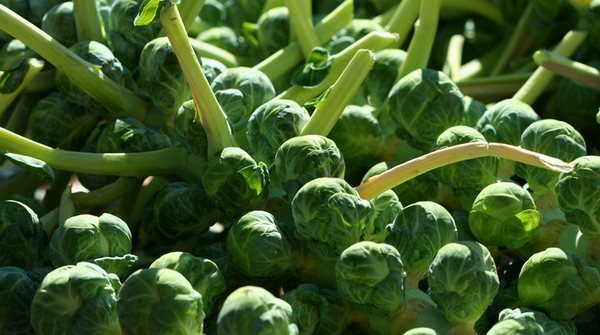 Since they are a long season crop, weeds can be a major problem to Brussels sprouts. Weeds should be removed right away as they will compete for water, light and nutrients. For weed related problems, control weeds chemically with the use of pre-emergence herbicides, or by using herbicides as a cultivation supplement. Use shallow cultivation, around three inches or less, in order to prevent damaging the roots. Growing Brussels sprouts can have trouble with pests such as aphids, cabbage loopers, harlequin bugs, imported cabbage worm, diamond back moth, cabbage maggot, web worms, cutworms and thrips. Proper control should be conducted uisng insecticides or insecticidal soaps. Caterpillars should be treated with products that contain Bacillus thuringiensis. Fungal infection can be reduced though the use of crop rotation with non-Brassica species. Since the sprouts form in the leaf axils (the point where the leaf joins the stem), careful handling during harvesting should be observed. Harvest starts at around three months after planting. Sprouts should be picked when they are about an inch a half in diameter or as soon as the lower leaves on the plant start to yellow. Cut or pick the sprout off the stem and gently remove any loose leaves. Store the sprouts in a cool dark place; though they taste best when they are eaten fresh. 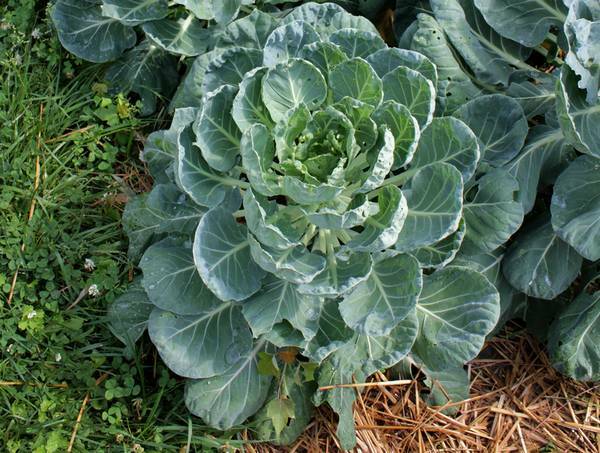 EDIS; Wikipedia; Growing cabbages and brassicas; Grow Your Own Brussels Sprouts Guide. ; Brussels sprouts: Grow & Eat; Brussels Sprouts Pests.